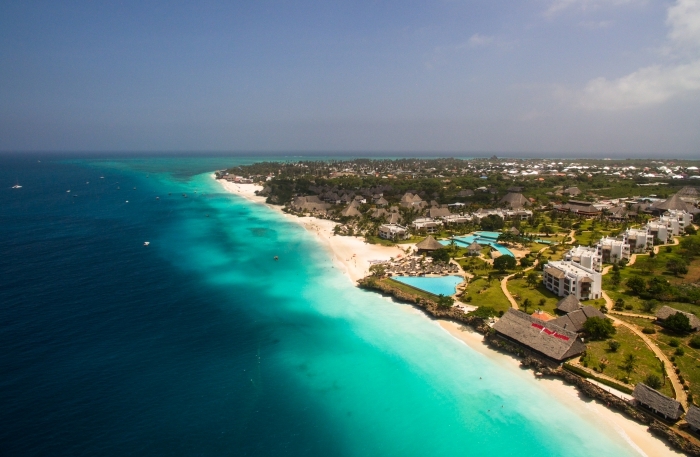 Our Location: Nungwi Zanzibar - Visit Zanzibar Yacht Charter today! Our location is in the village of Nungwi, a bustling fishing village located on the north western tip of Zanzibar Island. With sugar-fine, soft white sand and unbelievably clear turquoise waters, this beach must rank as one of the world’s best! 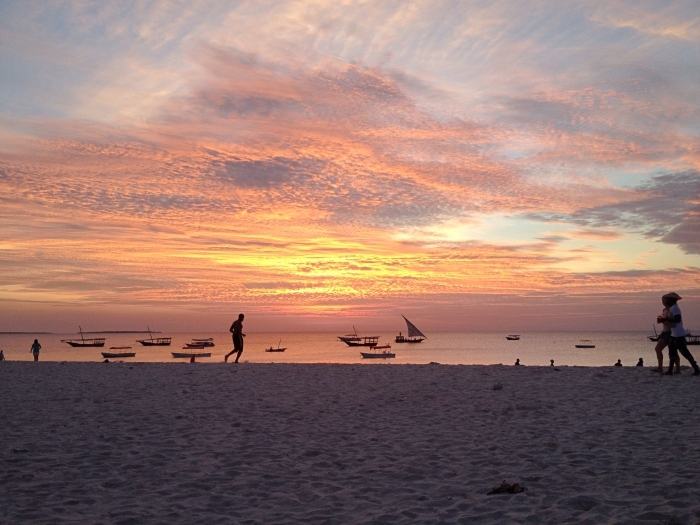 It is by far the most popular beach in Zanzibar! Our yachts are on their own swing moorings right off the beach here in Nungwi. From here our sailing yachts depart for all our day trips, sunset cruises and extended live aboard yacht charters! Indeed, Nungwi may be a place for relaxation, but it is also a place to immerse yourself in the local customs by checking out the boat yards, village and the local fish markets. Furthermore you will find loads of local bars, restaurants, hotels and loads of activities on offer. An added bonus is that due to our fantastic location here on the west coast, we are extremely fortunate to have the most breath taking sunsets almost every day! Find our office on the same property as Gerry’s Bar and Fishing Zanzibar Co Ltd (Right next door to the Double Tree by Hilton Hotel). See our map below. Tropical Island Sunsets in Nungwi! – Have lunch or sunset cocktails at Gerry’s Bar. Their dinner is great too and the music is fantastic!